You know when you go to a restaurant and they have that little bucket of lolly pops, or mints, or even pre-packaged Tic Tacs at the front door? (The Tic Tacs were a huge hit with my kids the one time we got them…) Well, my kids make their restaurant choices based on the candy they give away. Nope, not based on the food – I mean, really, we can pretty much only order them Caesar salad and french fries no matter where we go out for dinner, so to them, it makes no difference what the restaurant is, as long as they can score a good treat at the end. My three year old is a sucker for candy (haha I’m starting with the puns already!). Maybe all three year olds are? I’m not sure? 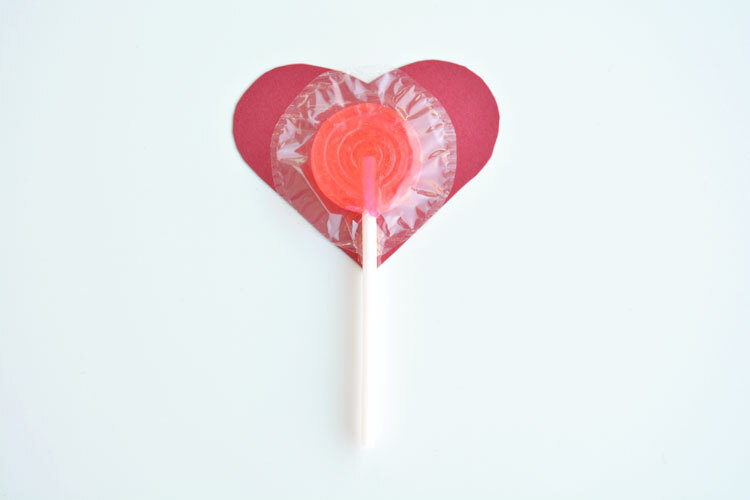 But our little girl goes crazy for sugar and she LOVES lolly pops. 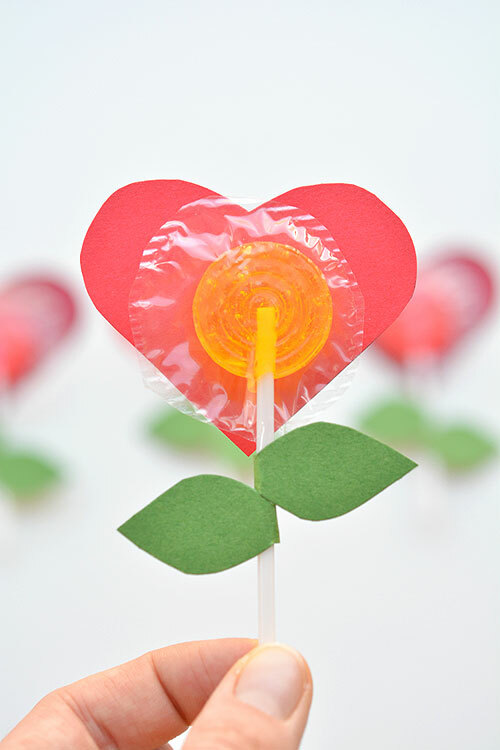 When she saw these lolly pop heart flowers sitting on the kitchen table her eyes lit up and it triggered her one-track-candy-mind and she started repeating, “Can I have one Mommy? How about now? Can I have one? Can I have one now?”. We have a rule in our house that you can’t have dessert until you finish your entire dinner plate. I have no idea if that’s a good idea or not? But with my picky eaters, it seemed to be the only way to get them to eat real food. 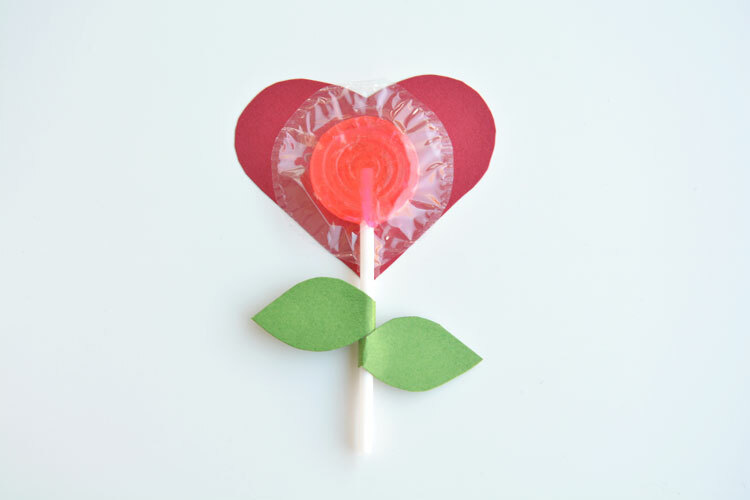 So she gobbled up a huge bowl of soup, which luckily was overflowing with veggies, just so she could be the first to choose which lolly pop heart flower she would get. 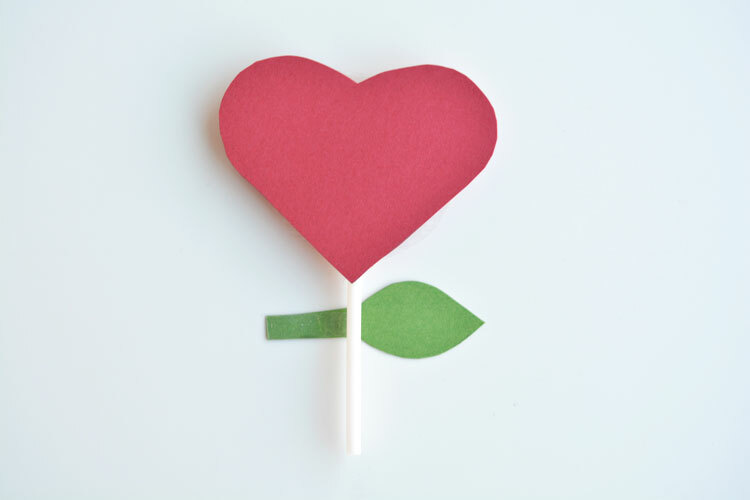 These lolly pop heart flowers are so easy to make and they are pretty darn cute! I can’t find the original tutorial for them, but it looks like the idea originally came from Family Fun Magazine. 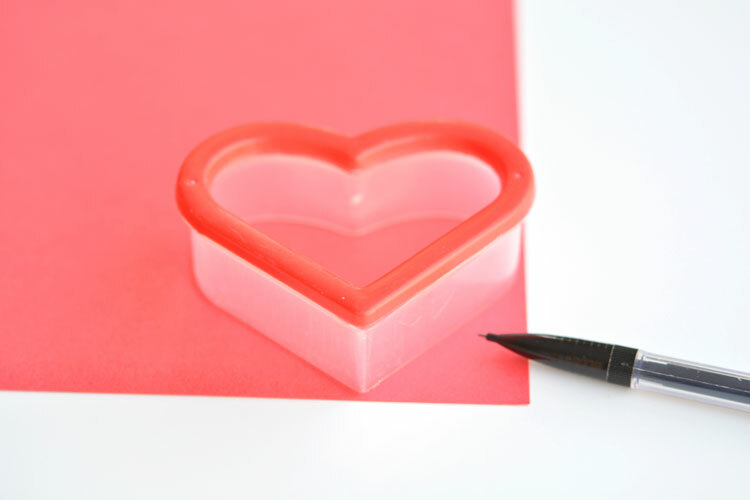 I got this heart shaped cookie cutter at the dollar store and it was the perfect size! If you don’t have a heart shaped cookie cutter, or you can’t find one that’s the right size, just cut out a heart on your own and trace it. 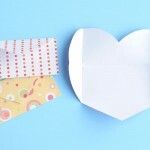 I saw that you can even buy a heart paper punch, which would be AWESOME if you plan to make a lot of these. You just have to check that the size works with the lolly pops. 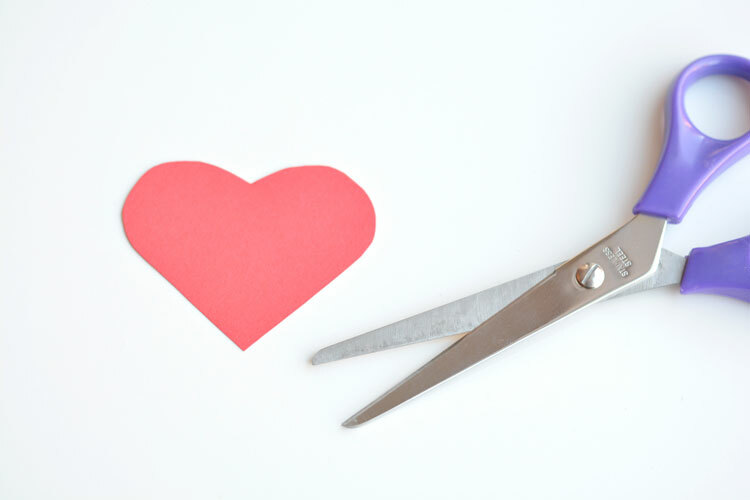 Trace the heart shapes using the cookie cutter, and then cut them out. I used heavy(ish) card stock. I’m sure construction paper would work too, if that’s all you have, but you want it to hold a little bit of weight, so heavier paper is definitely better. 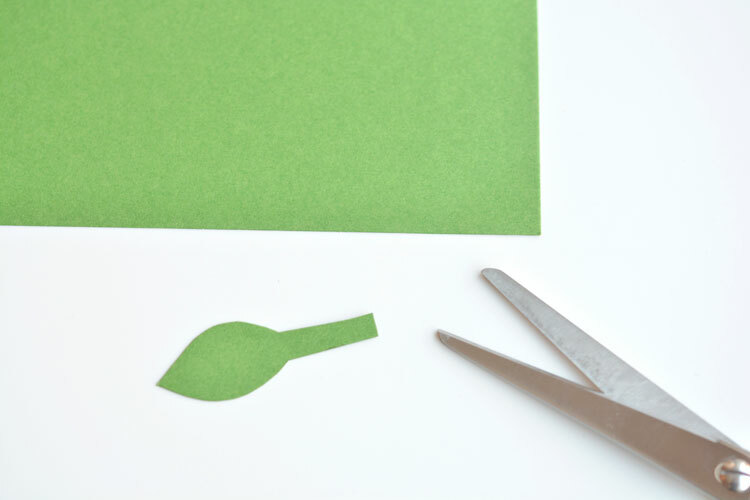 Next, cut out a leaf shape with a long end piece. I cut out the first one by eyeballing it, and then traced it so the rest of the leaves would match. 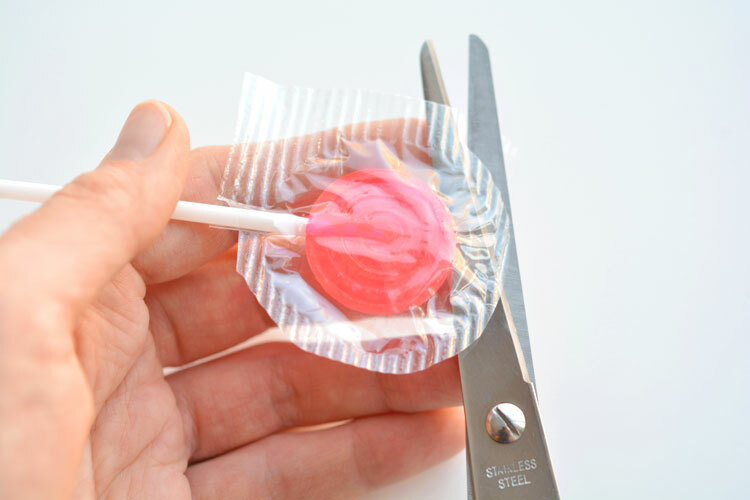 Trim off the sealed part of the lolly pop plastic. Try to get as close to the lolly pop as you can, without cutting into the unsealed part that holds the lolly pop. 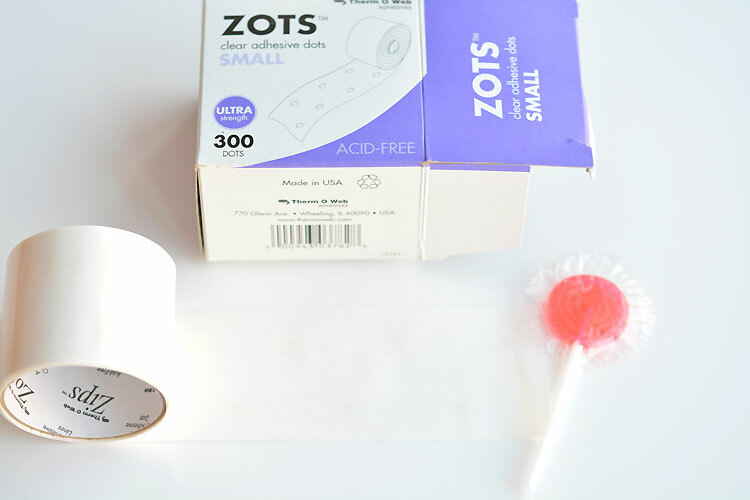 To attach the lolly pop to the heart, I used Zots because I find them stickier and stronger than double sided tape. But it’s really not worth going out and buying a whole box of Zots unless you plan to make a ton of these. 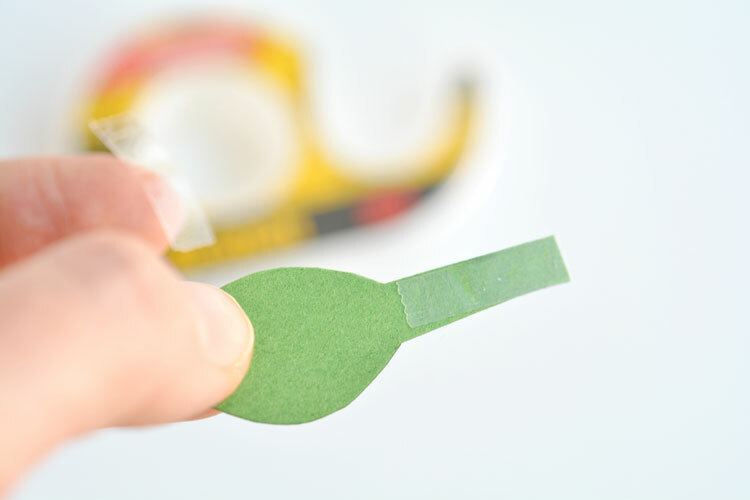 So if you don’t have any on hand, don’t worry about it, and just use double sided tape. 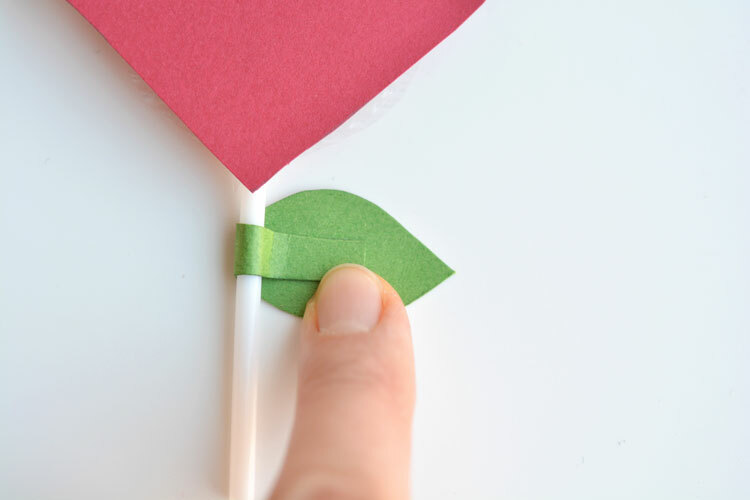 Put your Zots or double sided tape on the back of the lolly pop and then center it on the heart paper. And then roll it around and press it onto the back of the leaf. It should be snugly in place now. Then, write “I’m a sucker for you, Valentine” or whatever your Valentine’s Day message is, on the back of the heart. Flip it over and it’s all done! Seriously, how cute are these!? 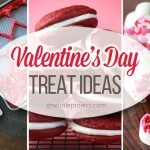 These would be such a cute treat to send to school on Valentine’s Day! 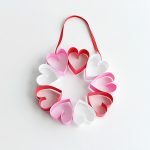 And they are a great craft for the kids to help with! 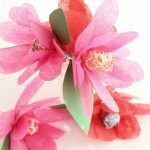 And I love that you can use the same idea for Mother’s Day too! You could tie up a few of them together and write “Love you a bunch, Mom”, on the backs. I know. The puns just keep coming! 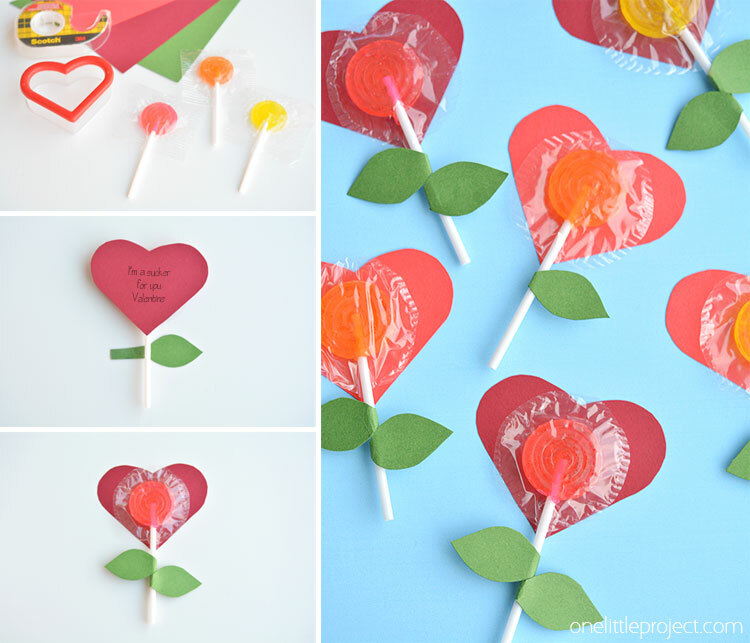 These lolly pop heart flowers are a super fun and super easy Valentine’s Day craft idea! 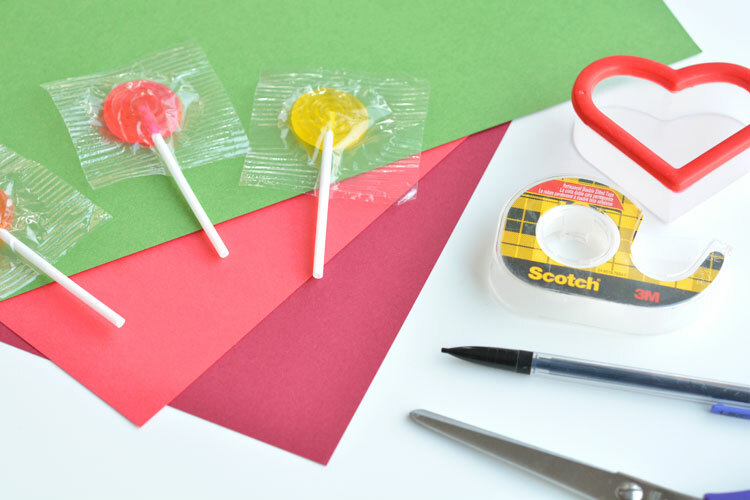 Make a bunch to send to school or give them away to friends. 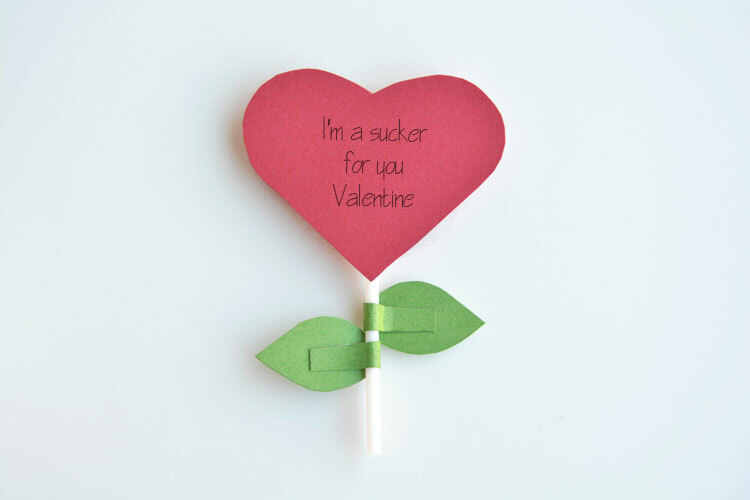 Your special someone will be a sucker for this fun and easy Valentine! Those are darling! Neat idea, and easy enough for my Kindergartener. 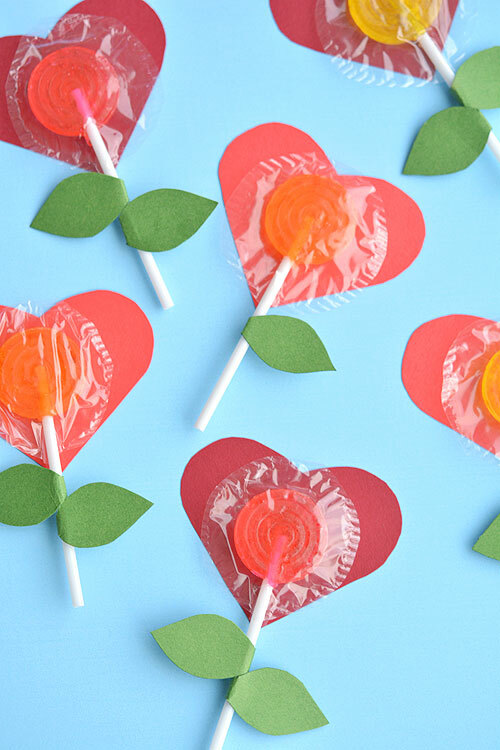 Your Lolly Pop Heart Flowers look adorable! Hope you are having a great day and thanks so much for sharing with Full Plate Thursday. Darling idea for Valentine’s Day! Pinned and tweeted! Thanks for being a part of Brag About It this week! What fun! Since I’m looking for ideas, this was great. Thanks! The info mentioned within the report are a few of the very best available.